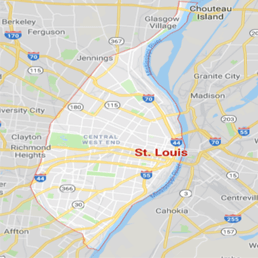 Our water damage Florissant specialists at 911 Restoration Saint Louis are licensed, bonded and insured to help homeowners get out of any flooding or leak situation. We know that when water invades your home there is nothing you want more than to get it clean and dry immediately. 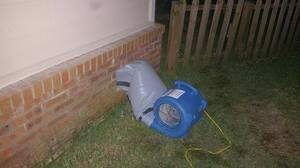 This is why our phone lines available 24/7/365, so you can call us the moment you find moisture in your living space. When you call our service agents, they will ensure that our water damage Florissant pros will arrive at your home within 45 minutes or less. It is important to get same day services implemented the day you discover the moisture damage in your home, because the longer water sits on your property, the more damage it can cause. Our IICRC certified Florissant water extraction crew will always go the extra mile for you and your family, so call us today and we will provide you with a free home inspection. If you experience a leak during a heavy storm you can count on our water damage Florissant workers to mitigate the issue, however it is important to take preventative measures in order to keep your home safe. You can fashion an emergency roof covering which will help keep your home’s interior dry and your family protected against a flood. Making a covering is easy, all you need is a large piece of plastic tarp that reaches from eave to ridge, plus four extra feet. It should measure eight feet wide. Staple both ends of the plastic to eight-foot-long-two-by-fours and place them on either side of the roof to weigh down the plastic. This should help cover any cracks in the roof during a rainstorm. Call us the moment you notice any dripping from the ceiling and our water damage Florissant members will help you right away. When you need questions answered it can feel like an eternity to have to wait for assistance, so we make it a goal to always be accessible to our customers. Providing you with optimal customer service is something we strive to always provide homeowners with. This includes being super hands on throughout the entire renovations process, as well as helping you with the financial aspect of the situation. Our water damage Florissant unit works with all insurance companies, and will even file your claim for you. With so many years working with insurance providers, we know exactly what information they need to get you the best coverage. Call our water damage Florissant team with 911 Restoration Saint Louis with any questions or concerns you may have and we will do whatever it takes to get you fast, efficient and affordable water damage restoration services today!